Exclusive series according to the highest technical standards. Front doors are the centre piece of any facade and make an important first impression. 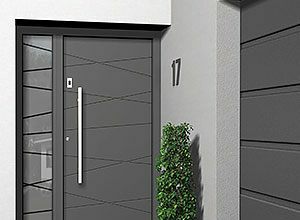 Our modern entry doors can be designed and built to your exact specifications and exemplify the perfect balance of aesthetics, durability and energy efficiency. 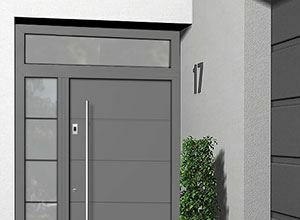 Whether you seek a timeless look to blend into your facade or an eye catching accent, aluminium is an excellent choice, embodying modern design in a clean look. Aluminium entrance doors are available in a range of designs to suit any project, from new builds to the renovation of an historic building. Features such as panels and mouldings’ can be customised to create the right look for any facade. Options also include RAL colours, decors and finishes, which can be combined to tailor the design to your individual wishes. 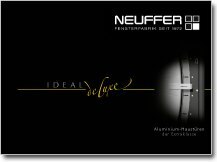 In addition to the entire RAL colour range, there are also numerous other elegant and easy to maintain metallic colours available as an optional extra. Standard double glazing is available with a Ug-value of 1.1W/m2K. For further insulation, the option of triple or even quadruple glazing can increase the thermal performance to Ug = 0.73W/m2K. These fully-sealed and gas-filled units can also be combined with ornamental or privacy glass. Stainless steel decorative trim options, such as horizontal slats and ornamental borders, add a personalised touch to an entrance door. These are applied to the external surfaces, however, internal applications are available on request. Aluminium is an extremely robust and durable material which makes it ideal for front doors, which see a lot of use day in and day out. Therefore, homeowners will want a material that retains its look and integrity with repeated use over a long period of time. This is where aluminium really shines. 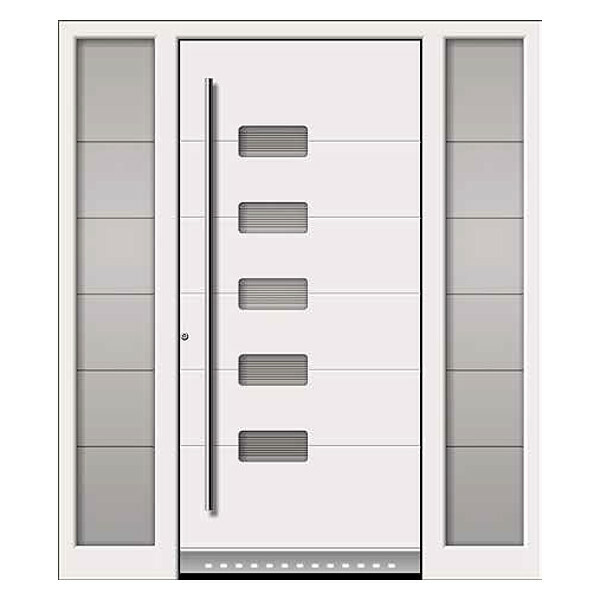 It is therefore no surprise that you'll almost always see aluminium doors used in commercial and retail buildings. 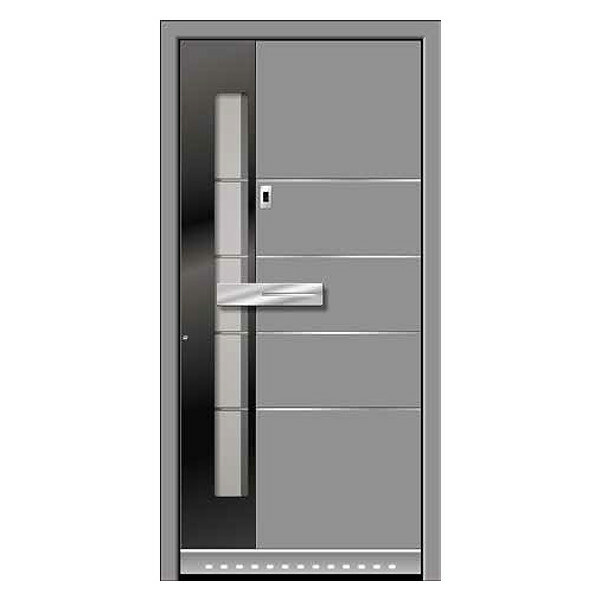 Aside from longevity, one of the main advantages of aluminium is security. 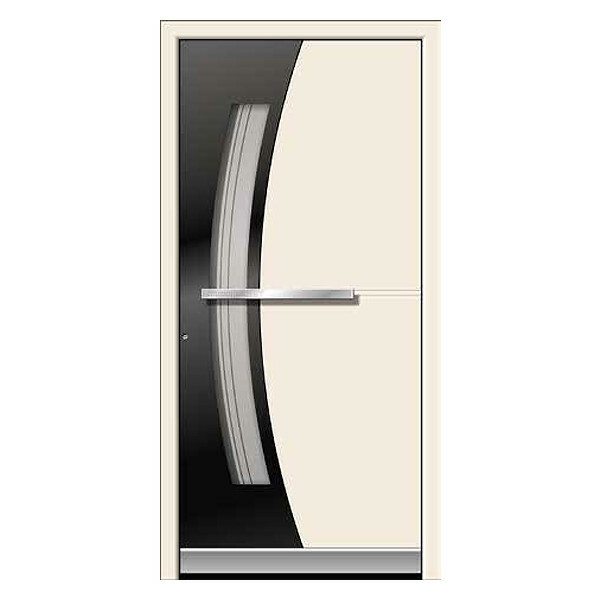 Our doors offer multi-point locking and can be upgraded to Resistance Class II (RC2) if desired. Moreover, they offer the latest technological advances including remote entry and fingerprint technology. 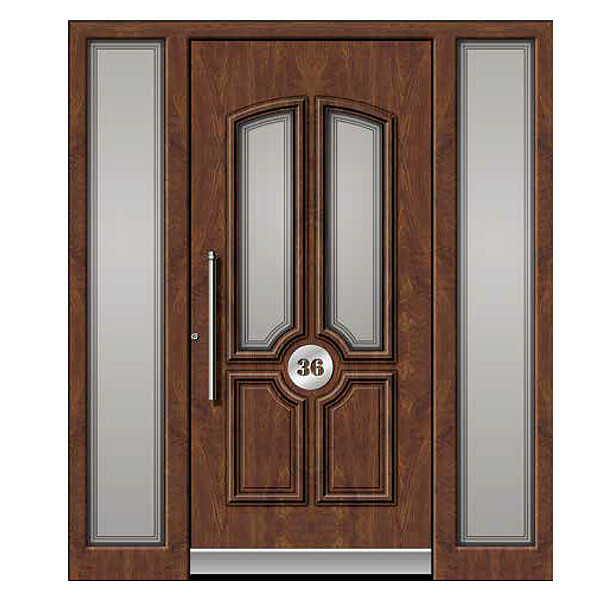 With the range of security features our doors feature, burglars will be looking elsewhere. Aluminium is a metal and thus conducts heat. Alone, this makes it less than ideal for insulation. 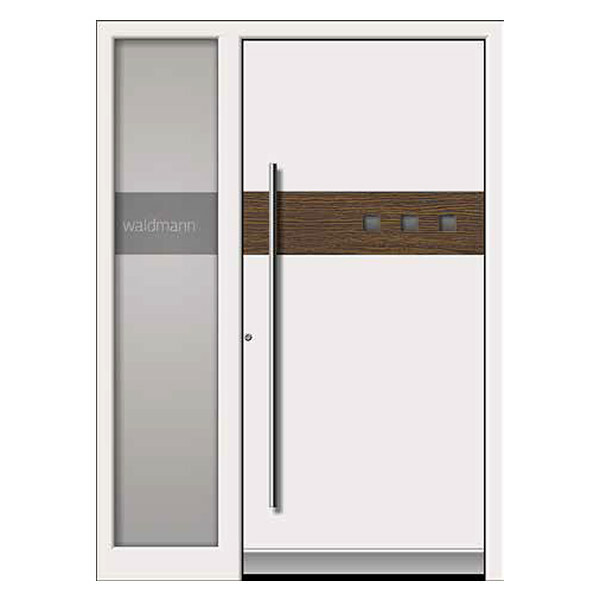 To solve this, modern aluminium front doors are always filled with an insulating material. 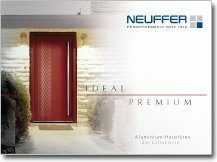 Some models have additional design elements such as, uPVC thresholds, or leaf-covering fillings, improving the insulating properties of the door. 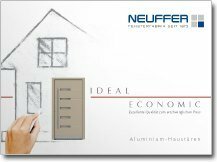 These factors can easily help to achieve the same U-values as uPVC front doors. Professional installation is key in order to achieve any door or window's full performance potential. Even the best door cannot make up for improper sealing or gaps between it and the wall. Front doors are the focal point for visitors and make a home's first impression and thus play an important role in the overall facade. 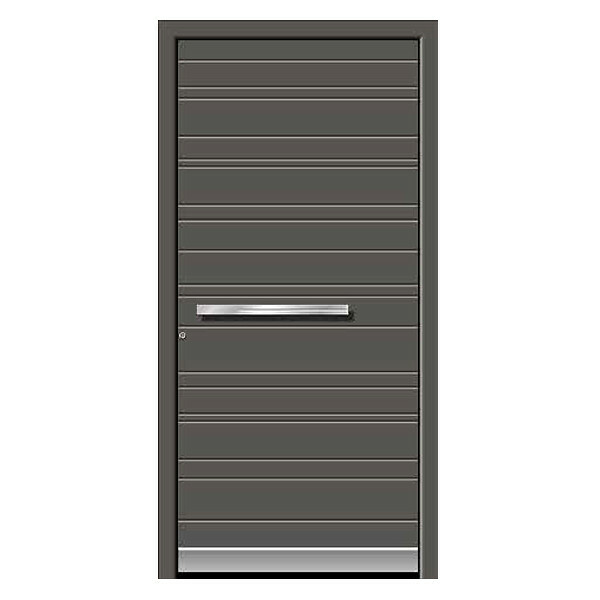 Aluminium entrance doors are able to be built in a wide range of shapes and sizes. The aluminium surfaces are anodised to prevent corrosion and the need for regular upkeep. 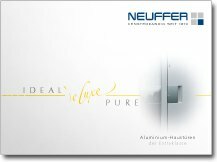 Our doors are available in nearly any RAL colour which are all applied via powder coating for long lasting beauty. 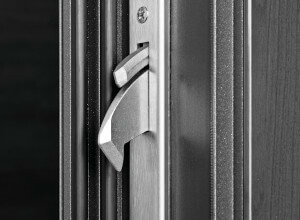 Clean aluminium aesthetics guarantee a modern style, and additional features such as knockers, handles and decorative glazing add the finishing touches. 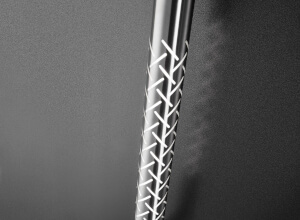 They too are available in an assortment of materials, styles and finishes. Maintenance is nearly non-existent. Occasional cleaning is required but even that is simple. A damp cloth and warm water are generally sufficient. These construction elements meet highest security standards, are environmentally friendly, and thanks to insulated profiles and sealed glazing, achieve excellent U-values.